Loafers with tapered toe in soft nappa leather. 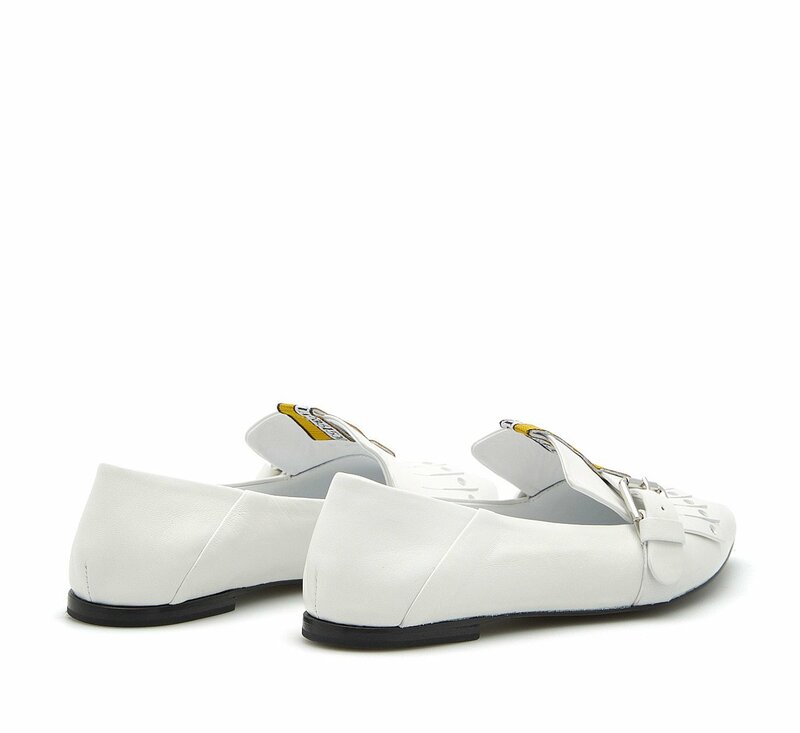 The sacchetto construction gives the shoe lightness, flexibility and comfort. Embellished at the front with buckle and fringes. Sole in leather.